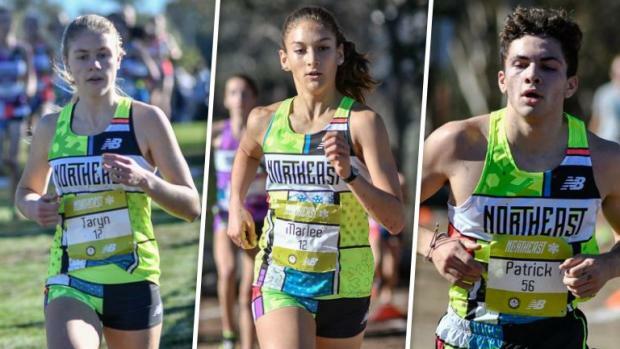 Marlee Starliper of Northern placed 13th for a second straight season, leading three Pennsylvania juniors who wrapped up the 2018 XC season at Foot Locker Nationals on Saturday. Greencastle-Antrim's Taryn Parks placed 27th in the girls race, while Mount Lebanon's Patrick Anderson took 29th in the boys race. Starliper, who entered among the pre-race favorites in the girls' race, ended up 13th in 17:54 to earn All-American honors and matching her place from 2017 at Balboa Park. Starliper went out relatively conservative, sitting mid-pack in 16th at the half mile mark. She gradually moved up throughout the race, putting herself in 12th at the mile mark. At the 1.5 mile mark, she got to 7th and then 6th at the 2 mile mark. Perhaps she left herself with too much work to do from the start and she drifted back to eventually finish 13th. Sydney Masacrielli of Connecticut, who beat out Starliper for the Foot Locker Northeast title, closed hard to beat out Illinois' Katelynne Hart in a race to the line for the national crown. Parks, in her third trip to Foot Locker Nationals, took home her best career finish. The junior clocked in at 18:27 to place 27th up from 36th last year and by far her fastest FL Nationals time. Next year, Parks will have a chance to make her fourth straight appearance in the national meet. Anderson ran well in his nationals debut. The junior, who won the AAA state title this fall, ran 16:16 to take 29th in the loaded boys field. This wraps up what has been a breakthrough season for Anderson, who will look for a return trip to San Diego next fall.